When you look at a nutrient profile of nuts, you can readily see a wide variation in the amounts and contents of different nutrients. It definitely gives you the impression that nuts are designed to be alternated in the diet to gain from the full array of benefits. Nuts are a good source of minerals. They also contain fats. Some nuts contain a much higher ratio of omega 6 oils which tend to be pro inflammatory. Other nuts contain a higher ratio of omega-3 oils which are more anti-inflammatory. 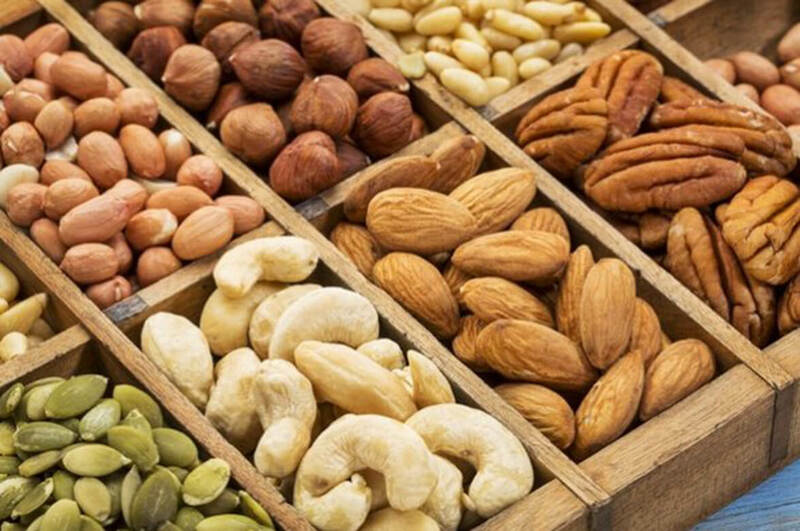 The bottom line is that nuts, just like vegetables, berries, fruit, meats and seeds all have different profiles of vitamins, minerals, trace minerals, phytonutrients, amino acids and fats. All foods found in nature are designed to be eaten in variety. That gives a person the broadest spectrum of nutrients to cover all of a person’s health care bases. It also prevents the body’s immune system from developing a sensitivity reaction to the proteins in the food from having that food in the diet too repetitively. A good game plan is to eat a handful of a different type of nut every day. My daily “treat” is to eat a handful of nuts with a small piece of dark chocolate. YUM!